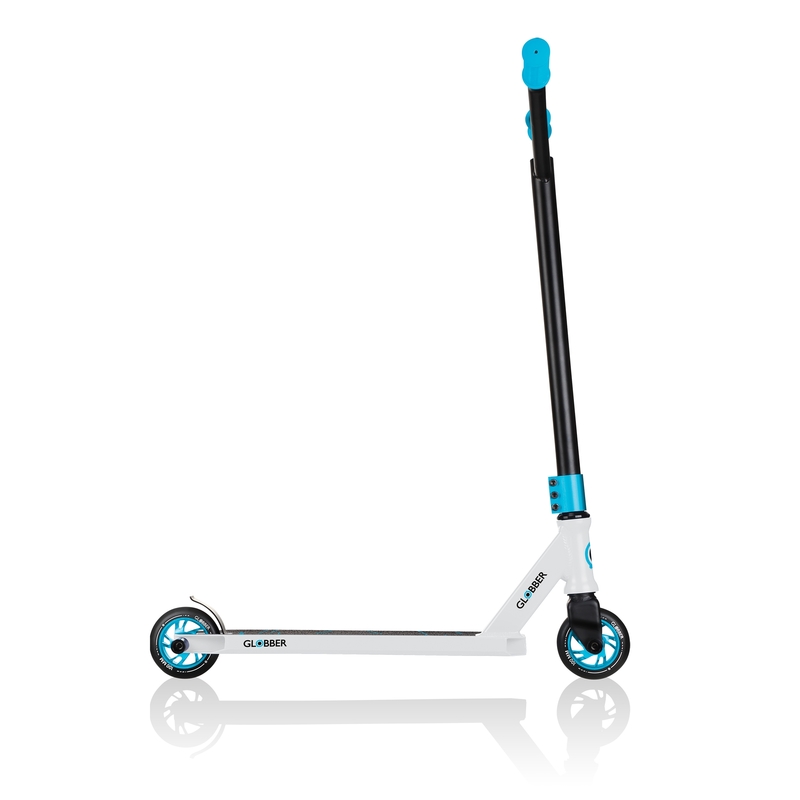 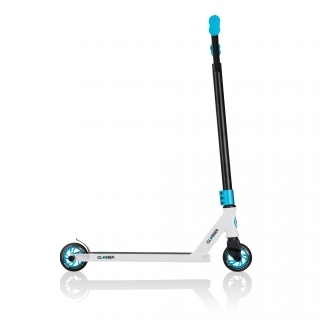 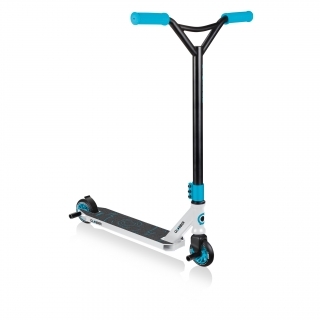 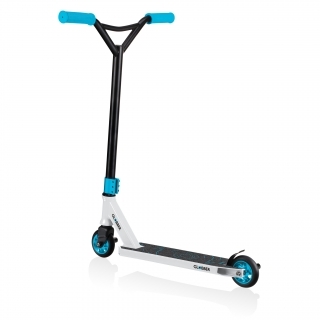 Globber GS 540 stunt scooter for kids aged 8+, teens and beginners. 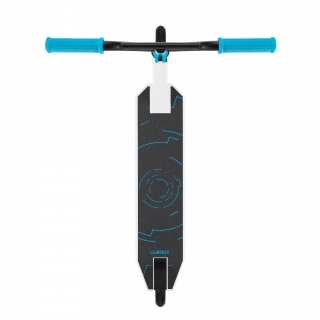 Triple channel deck design with triple lower clamp, NECO headset & threadless fork. 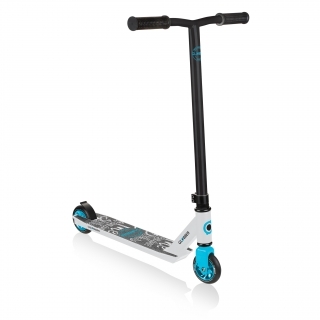 High-quality and high-rebound 100mm 88A PU casted wheels with 6 spokes aluminium anodized alloy core, mounted on 680ZZ ABEC 7 CHROME bearings. 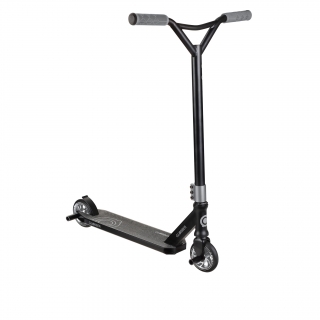 32mm diameter steel fixed T-bar (L 580mm* / 22.8” x W 500mm / 19.7”) with one-piece curved handlebars; 6061 anodized aluminium triple lower clamp, mounted on a reinforced NECO headset and threadless steel front fork. Pegs included. Best stunt scooter for kids and teens aged 8+ with pegs and 110mm wheels.